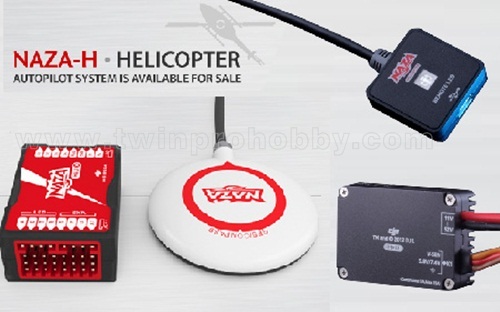 The Naza-H autopilot system is a new platform designed for the helicopter model enthusiast. It inherits the Naza series� All-in-One design with an inner damping and many other built-in high performance functions (tail gyro, flybarless, and multiple flight control modes) and it also supports D-BUS. With the optional GPS module, stability is no longer a problem. 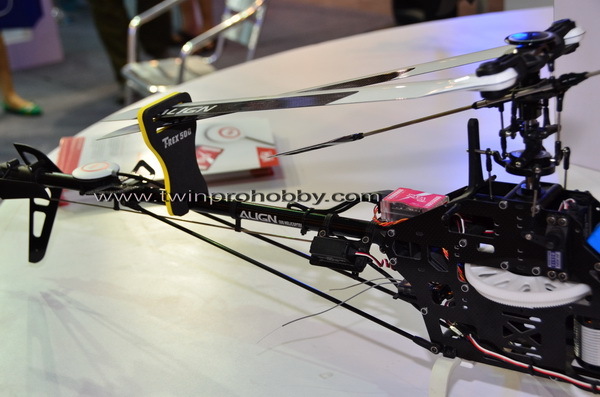 From novice to aggressive 3D, the Naza-H perfectly meets the needs of different flying styles. It is not just another FBL controller; it is the best choice for the discerning model helicopter pilot. The high-performance FBL (flybarless) system has replaced the mechanical stabilization for ESP (Electronic Stability Program) which reduces power loss, works more efficiently and makes 3D flight easier and less demanding on the power train. Naza-H can also be used with Flybar helicopters, giving more precise flight control using Attitude or GPS modes. There is no need for a separate tail gyro, it is built into the Naza-H.
In【GPS Atti. Mode】or【Atti. Mode】, requiring only pushing the throttle (collective pitch) stick gently to take-off, the Naza-H will be in charge of the cyclic pitch/roll stabilization. The whole flight can be completed in one flight mode, which is very convenient for novice helicopter pilots. Naza-H can measure the servo voltage and can also measure the power battery voltage if the customer uses the DJI BEC. Users can set a safe voltage threshold according to their usage, when the voltage is lower than the preset voltage, the main controller will raise an alarm through the LED indicator. Naza-H inherited the high stability technology of DJI autopilot systems. It combines a GPS (optional), a 6-DoF inertial measurement unit, a magnetic field meter, and a barometric altimeter with the most robust algorithms in robot control theory. With the advanced GPS/INS sensor fusion algorithm technology and the highly robust H-infinity control as the foundation, it makes the whole system more accurate even in high vibration and high mobility environments. All these ensure the helicopter always maintains flight stability, mobility and precision, all of which makes flying easier. The plug and play Naza-H GPS module can provide accurate positioning. With the GPS Module, Naza-H can have the longitude, latitude and altitude locked even in windy conditions to achieve precise hovering within a small area. Naza-H offers three control modes: GPS Attitude Mode (with optional GPS module), Attitude Mode and Manual Mode. 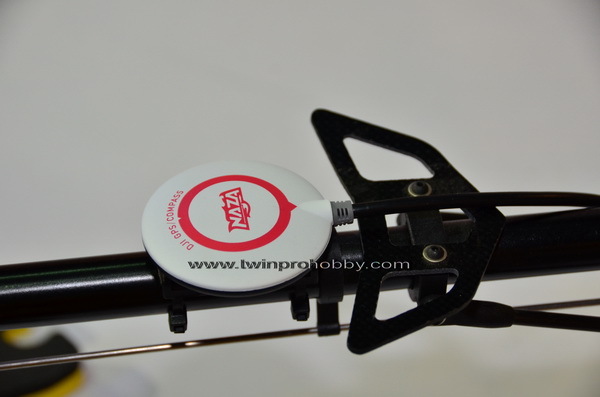 Customers can switch between the three modes using the transmitter. 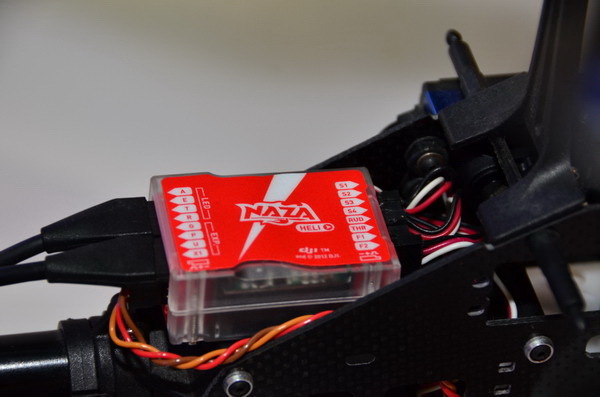 Naza-H supports both ordinary receivers and the Futaba S-Bus receiver. The S-Bus receiver uses only one servo cable to connect S-Bus and the Naza-H, utilizing seven channels of the receiver. The installation is very neat and tidy due to less wiring. Through the Naza-H you can set the intelligent failsafe for protection, which guarantees the aircraft will automatically hover when the Tx signal is lost. The independent BEC module, with a wide voltage input (11V-52V) and a variable voltage output (5.8V, 7.4V) can power not only the main controller, but also the servos and receiver. Users can change the output voltage according to their servos, and stable output current is provided without an extra battery pack. The use of the BEC makes the aircraft lighter and the voltage more stable, plus less batteries to worry about. The user interface of the assistant software has been comprehensively updated, and instructions will automatically appear which is very convenient. In addition, on the left of each menu section there is detailed introduction. The logical design makes your parameter settings more simple and convenient. 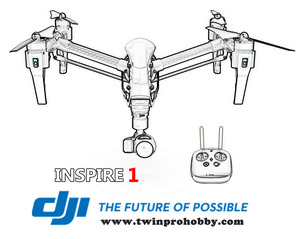 Like other DJI products the Naza-H firmware can be upgraded online.